Howdy. I’m Dan. Dan Strother, to be precise (think “straw-there”). I’m a twenty-something year-old electrical engineer living and working in the vicinity of Portland (Oregon). I’m an avid hiker, an amateur photographer, and a Dorkbot (if you’re in the area, come find me at one of the biweekly meetings!). Embedded digital electronics – FPGAs, microcontrollers, and the firmware that runs on them – are my specialty. I’ve cloned a whole Nintendo in an FPGA, and just about every one of my projects incorporates at least one microcontroller. 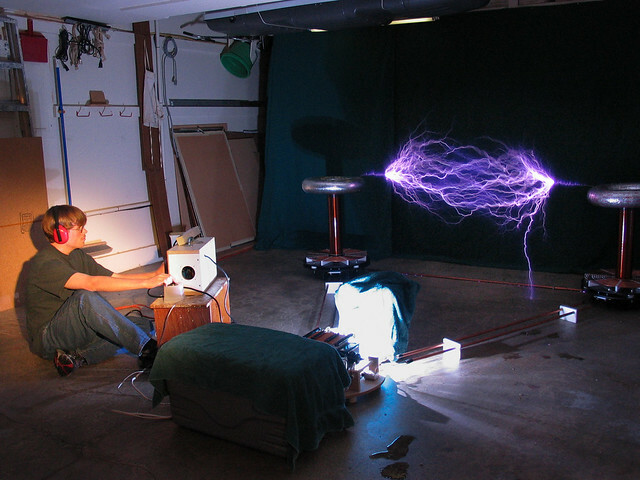 I’ve been known to venture into the realm of power electronics and high-voltage apparatusses – including a couple of years where Tesla Coils were my obsession. 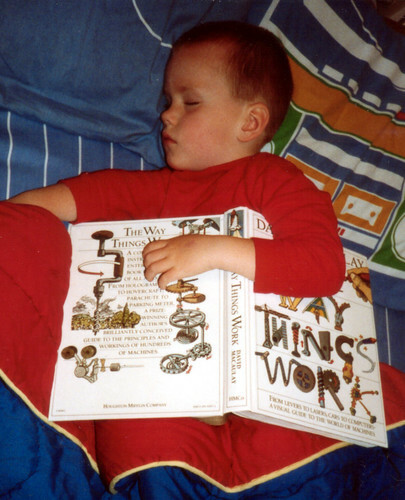 My diploma states “electrical engineer,” but my technical interests are not quite so narrowly defined. Endeavors of a more mechanical nature are not uncommon. 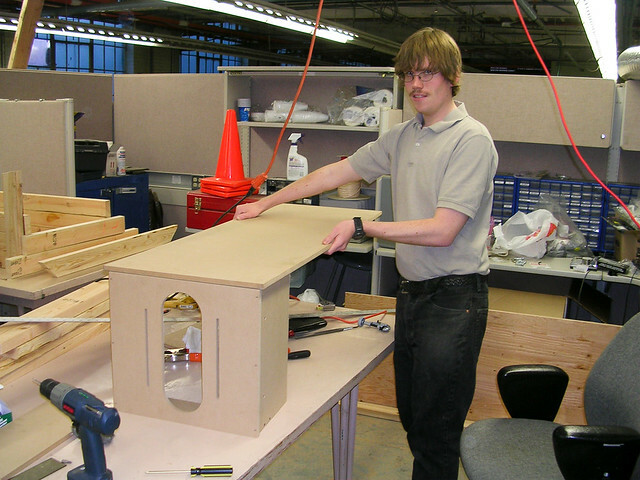 I have, amongst many other smaller projects, built (from scratch) a CNC milling machine, and an impractically large projector. Robotics has always been a major area of interest to me – being a perfect intersection of mechanical, electrical, and software engineering. At the age of 9, I built a LEGO robot that was controlled by a Commodore 64. 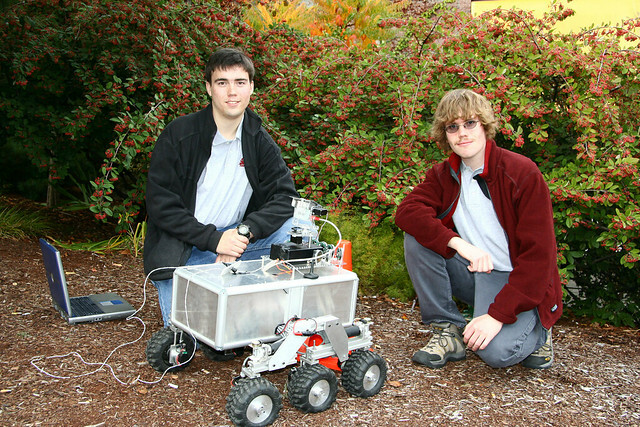 More recently, while at WSU, I helped build a Mars-rover inspired autonomous robot: Eddie.